In this final part of the series I will be looking both at how awareness of breathing can help our system to quieten down and come back into balance, and at how the breath can help us to find greater poise and freedom in movement. 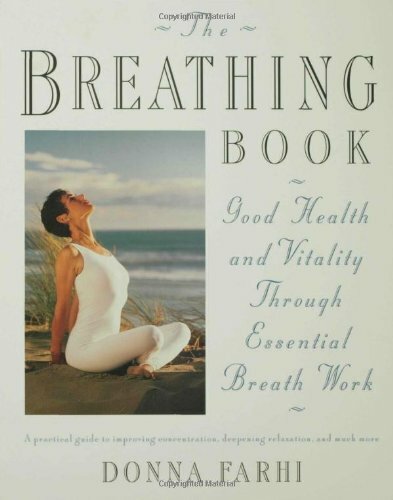 Breathing is perhaps the only significant function in the body which is regulated unconsciously (by the Autonomic Nervous System or ANS) while also being able to be straightforwardly controlled by the higher brain centres. We can choose to stop breathing for a while, to hold our breath, speed it up, slow it down, and manipulate it in different ways. Because breathing belongs so much in both these worlds it also acts like a ‘bridge’ between them. The ANS is one of the main systems in the body for regulating our level of arousal. Faced with a dangerous or demanding situation it (usually) ‘activates’ us, increasing heart and breathing rates and releasing adrenaline to give us the energy and alertness needed to deal with the situation. When the danger passes (if all is working as it should) it quietens our system down and returns us to a balanced resting state. Because of the stresses of modern life (which offers conditions very far from those the body evolved to deal with!) many of us tend to live a lot of the time in an over-aroused state. This is reflected in tense muscles, rapid breathing focussed high in the chest, and a general feeling of being stressed and worried. Many of the stressors we encounter today do not dissipate so quickly as a predator passing in the night! Money worries, unsympathetic work environments, challenging relationships and unsupportive communities — these are experienced as deep ongoing threats to our sense of safety, survival and self, and often they are difficult to get away from. At the same time there is often social censure around expressing feelings and allowing the tension which has built up in the system to discharge naturally. Many of us end up trapped in a state of ongoing stress where a level of ANS arousal is pretty much permanently locked into the system. Make a little time when you don’t have to do anything else. Lie down on your back on a firm surface with your knees bent (semi-supine position) and with some support under your head if necessary so that it is neither lolling back nor pulled forward. Give yourself a general intention or ‘wish’ to quieten down a little and take a few moments to come into your body. Can you notice that you are breathing and just take a general interest in it? Can you describe it to yourself? What does it feel like to be breathing? Which parts of you seem to be involved? What quality does the whole pattern have. Is anything within you (emotional or physical) resisting the free movement of the breath? Do you still have your original wish to be quiet, or has it dissipated in the urge to follow these instructions? Are you ‘holding on’ in any way in response to the instruction to look and take an interest? Can you be aware of what’s going on without trying to change it particularly? Whenever we try to change our inner state we are putting effort and stress into the system. What does it feel like to be patiently aware of what is going on without trying to change it? As you get up and get on with your day, can you keep the gentle intention to quieten down a little? Without making a another problem of it can you notice now and again that you are breathing? Some people find it fairly easy to watch and take an interest without getting caught in judgement about themselves and trying to get it ‘right’. Others may struggle with this, particularly if their nervous system is caught in a cycle of stress and worry. If this is you then you can see some more information on what is going on in my blog post here. You may also find a few sessions with a teacher can help you to find clarity about what you are up to which makes it hard for your nervous system to settle and quieten down. In previous parts of this series we’ve seen how the breath can’t really be considered apart from the rest of us. Relaxed and easy breathing depends on support from the postural system, because if that support is not there then we will tend to be using muscles needed for respiration to hold ourselves ‘up and together’. Because the breath is so intimately tied to our overall state of coordination (our ‘Use’ in Alexander terms) and because it is going on all the time, it can function as a highly sensitive register of what is going on in our system overall. Any level of unnecessary tension or imbalance in the system will be reflected in a subtle or obvious holding or constriction of the breath. In this way the breath can function like the relationship between our head/neck/back — when it is out of kilter it tells us that our system as whole is out of balance. We can use this as a way to find ways towards moving more skilfully. Here's another thing you can try. Lie on your back with your knees bent and your head supported as in the previous exercise (I am suggesting lying down because it is easier to begin with as you don’t have to worry too much about gravity). Again spend a few moments to quieten down (N.B. your nervous system needs to be in a relatively quiet state for this game — it will not be possible to do this if you are in an over-aroused state). Now think about rolling onto your side and visualise how you will go about doing it—but without actually moving. Notice what happens to your breathing as you mentally prepare to roll. Does it tense up a little? Does it become held or restricted in any way? If so this indicates that you are asking your body to move in an unbalanced way, and it is therefore, by necessity, automatically bracing and holding on to make the movement possible. This tension in the system is reflected in your breath. That is useful information. You have discovered something which you don’t want! This is far easier and less bother to deal with than becoming aware of something you do want—because all you need to do to deal with it is to say ‘no!’. So say ‘no’ to that way of rolling over. Spend a few moments to quieten down again. Now imagine another way of rolling over. Perhaps instead of starting by hauling with a shoulder you could think of letting a knee release. Again imagine doing it—maybe even try it out a little. What happens to the breath this time? Is it held more, less or the same? Gently, carefully, with patience, we can use this process repeatedly to find ways through complex movements which do not require us to brace and hold on. We say ‘no’ to those responses to the idea of moving which cause involuntary breath holding or constriction, and give consent to those that do not. We become explorers, and through saying ‘no’ to what clearly doesn’t work can come across movements which are relaxed, open, supported and free. This is a powerful practice — but for some it may be challenging to find a way into it, particularly if your nervous system is over-activated. Often we can be quite removed from our physical selves, or may find it too difficult to slow down and really say ‘no’ or to give consent to unfamiliar movement patterns. In this case it may be helpful to have a few lessons with someone who can give you objective feedback about what you are really doing, and encourage your system towards a more relaxed and free way of doing things. As I’ve said before, breathing is both simple and complex — so complex that I’ve only been able to scratch the surface in this series of articles. However we don’t need to be overwhelmed by the complexity if we remember that breathing is not generally something we have to do. The body knows how to breathe. The point of understanding a little about how the mechanism works is not so that we can ‘do’ all that complexity ourselves, but so that we can become aware of the ways in which we interfere with that rhythm, so that we can choose to stop doing so. The best thing we can do for our breathing is to look after ourselves as a whole, and learn to allow the breath to do itself. Once we let go, everything flows. I hope you've enjoyed this series and found it interesting. One thing I have not covered at all is the use of the breath for singing, speaking etc. I am to look at this in future, so this is relevant to you then watch this space! In previous parts of this series [see 1, 2, 3] we have have been looking at the anatomy of breathing and how the process works at a physical level. We will now look at some common ways in which this mechanism can get upset and out of balance, both physically and emotionally (the breath is intimately connected with our feelings — in fact it is not really possible to make lasting changes to the way the body breathes without corresponding changes in our emotional responses and behaviour). In order for breathing to work freely and easily, the muscles of respiration need to be available to do their job. When we are physically out of balance and alignment then muscles which are best left free for breathing may have to be co-opted to help out with maintaining our upright posture. This limits and constrains the breath. A common psychological impact on our breath is when we are shamed into a negative image about our body, and so habitually hold our stomach in and attempt to look thinner than we are. This pattern is very common in our culture ad can cause problems because, as we have seen, the belly muscles must be able to release on the in-breath to allow the diaphragm to descend. When we habitually hold these muscles it restricts the breathing, which has knock on effects for posture, alignment, self-expression, and energy flow throughout the body. One of the most potent emotions to impact on the breath is fear. 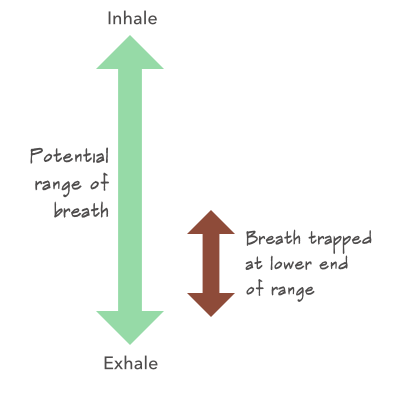 Breathing is intimately connected with our basic survival systems. Because of its links to the autonomic nervous system, breathing is related to our flight/fight and freeze responses to danger. At one end of the scale we have the basic response to fear which is ‘fight or flight’. In this situation the organism prepares to flee or attack whatever is threatening it, and it increases the depth and speed of breathing in order to charge the system with oxygen for any necessary action. Alternately, in situations where the autonomic nervous system does not feel that it has a viable flight or fight option, the organism will shut down and go into a self-protective ’freeze’ response. In this situation the breathing becomes very shallow and may even stop completely for some time. Because the body’s ‘alarm system’ doesn’t know the difference between a physical threat and an emotional one (meaning anything which threatens our relationships with valued individuals or groups) it will tend to react to uncomfortable emotional events in a similar way to physical threats. If we have experienced intense or prolonged periods of emotional or physical threat or worry in our lives then some level of flight/fight or freeze response can become ‘locked in’ to our system. For example we may exhibit the shallow, collapsed, lifeless, breathing of someone who has tended to ‘freeze’ in the face of challenging life events. In this state we may find it difficult to take a truly full and free breath and thus we get stuck in in a small part of the lower end of our potential breathing range. Alternately, we may be stuck to some extent in the high intensity breathing of an organism preparing for flight or fight — but be unable to fully express or discharge the pattern due to social pressures and norms. In this case we may ’tamp the response down’ with muscular tension, so that we end up breathing rapidly and shallowly high up in the chest, while preventing a full out breath by holding on in the belly and diaphragm. In this case our breath is trapped in a small zone at the top of our full breathing range and — because we have lost the ability to exhale fully — we no longer have access to the full range and ease of our breath. Of course, changes in breathing are also associated with positive emotional states. When we feel free and expansive this tends to be reflected in the breath. It’s hard to imagine feeling joy and lightness while tightly holding or constricting our breathing! Enjoyable activities like laughing, singing, expressive communication of different kinds, making love etc. all require the freedom to breathe expansively in order to be fully experienced and enjoyed. However, if at some time in our lives we have come to believe that it is shameful to fully feel things, or that we are ‘not allowed’ to express ourselves, or that there is something selfish or not quite right in fully enjoying ourselves, we may feel a need to block the body’s normal tendency to want to experience such states. One of the most effective ways to do this (which is usually unconscious) is to hold on to the breath. This has the effect of shutting down the body’s ability to express and feel. It creates a (false) feeling of safety by dulling the threatening feeling — though at the expense of an ability to express, feel fully alive, and to experience a sense of joy and freedom in life. Chest breathing. As we have seen, we may ‘hold on’ with our belly, pelvic floor and diaphragm, so that breathing happens mostly high up with the ribcage. This may be associated people who don’t feel safe to be fully in touch with their basic feelings and energy (which are experienced mostly in the belly). This pattern can result in tension and pain in the shoulders and neck. Collapsed breathing. This is a different form of chest breathing where the shoulder, neck and upper chest ‘collapse’ and pull downwards — draining energy, spontaneity and expression. It tends to be associated with feelings of depression, stuck-ness and unfulfilled needs. Frozen breathing. This is often found in people who have been exposed to a lot of fear, and is characterised by the outer musculature of the torso contracting and squeezing so that breathing is almost immobilised. Gasping or ‘grabbing’ the breath. This is is when we gasp for the next breath without allowing the natural pause at the end of the previous exhalation. This sort of breathing can sometimes indicate someone who is always in a hurry and striving for the next thing, who can’t ever relax and allow life to come to them. ‘Throttling’ the breath. This happens when we constrict our airway through muscular tension in the throat. This is often found in people who have difficulty expressing themselves, or speaking what is on their mind. It’s probably clear from the above that for many of us breathing in a more free and natural way is not simply going to be a matter of trying to do it differently! The way we breathe is a complex reflection of who we are, the experiences we have had, and the physical habits which have arisen as a result. Fortunately, however, the human organism is immensely adaptable and able to change. In the final part of this series we will be looking at ways in which we can gently start to undo any tangles we have got into and allow the breath — and hence ourselves as a whole — to return to balance and wholeness. 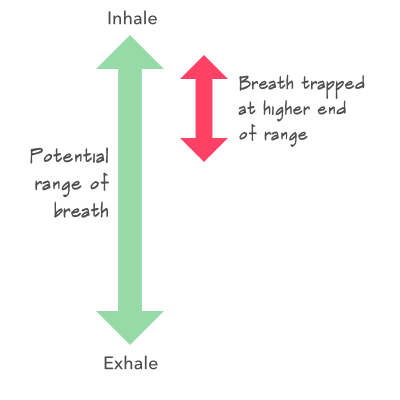 This is a third part in a series on breathing. Here are links to Part 1 and Part 2. In the last article I talked about the anatomy which supports the function of the lungs, allowing them to expand and contract to draw in and expel air. I'm now going to say a little about what happens higher up in the body to regulate the airflow and allow it to be used for vocalising and to support our structure. Air flows into the lungs through the trachea which is a flexible tube of cartilage running from the larynx (voice box) to the lungs. It splits into two branches called bronchi, which feed the left and right lungs. The larynx contains the vocal folds (chords) which are muscles that run from front to back and can open to allow air through or close to seal the airway. When they are held together and air passes between them they vibrate to produce sound. We tend to think that the primary function of the vocal folds is to produce sound for speaking and singing, but they in fact have another, more important function, which is to play a part in preventing food from entering the trachea and blocking it when we eat (which is a potentially deadly scenario!). When we breathe, the vocal folds are in an open position, but when we swallow they close to seal the airway so the food goes down the oesophagus rather than the trachea (see diagram below). They are assisted in this by the epiglottis which lies above the vocal folds and descends as the vocal folds close. Because the vocal folds have this important — and life-saving — role in eating, there are very strong neurological and emotional connections between them and the tongue, and the muscles of the jaw and throat. These connections have significant ramifications for breathing, and especially for speaking and singing — there will be more about this in the next article. The vocal folds, together with the 'false' vocal folds which sit above them, have a third important function. When our torso needs more support for activities such as lifting heavy weights, straining, expelling waste etc, they close and seal air inside the lungs. Because air is relatively hard to compress, the trapped air helps prevent the chest cavity from collapsing under the strain. This is assisted by muscles in the belly (particularly the rectus abdominus which runs from the breast bone to the front of the pelvis). These activate to support and ‘hold in’ the internal organs of the belly, which in turn supports the diaphragm so that pressure is maintained in the lungs. You can see this mechanism operating clearly if you imagine picking up a (very) heavy weight and grunt and seal your lungs in preparation. Moving further upwards from the larynx there is the pharynx, which divides into the mouth and the nasal cavity. The soft palate is suspended above the pharynx, and because this can be raised and lowered we can choose to let air come in through either the mouth or the nose. All things being equal it is generally best for air to come in through the nose which has filter mechanisms to catch dust and particles. In addition, the nasal cavities act as ‘conditioners’ for the air. They have a large surface area and can adjust the air temperature to very close to that of the body. However sometimes mouth breathing is appropriate, for example when we need to take in a large amount of air quickly, or when speaking or singing. In the next couple of posts I will explore ways in which many of us interfere with our (originally) very effective breathing mechanism. I will look at some of the problems can result and suggest what we can do — or more accurately ’not do’! — to improve matters. In Part 2 of this series (find Part 1 here) we are diving into some specific information about how breathing works, and about the structures in the body which support it. Fear not, I have kept things simple and short! Read this one carefully, as you will need a basic understanding of the information here as we go on to explore common ways in which we interfere with the breath in Part 3. The diaphragm is the main muscle of respiration. It attaches to the lower edge of the rib cage and is shaped like a dome. When we breathe in, the diaphragm contracts and flattens. This increases the space in the chest cavity, causing the lungs to expand along with it. So long as there is a clear passage from the nose or mouth then air will flow in through the trachea to fill the lungs. Note that because atmospheric air is under pressure we don’t have to effortfully draw it in: it will come in naturally as the space for it increases. When we breathe out, the diaphragm relaxes and returns to its former shape (with the help of some other structures that we’ll come to later) and the used air, now depleted of oxygen, flows out of the lungs again through the mouth or nose. Note that we should never try to influence the diaphragm directly, it is not a muscle over which we have conscious control. The word cage in rib cage is a bit misleading. It can easily be taken to imply a fixed and immobile enclosure when in fact it is a flexible structure. This flexibility enables a greater expansion of the space in the chest cavity (and hence of the lungs) than the diaphragm working on its own can produce. At the front of the chest the ribs are joined to the breastbone with flexible cartilage. At the back they attach to the vertebrae of the spine with joints, which allow them to rotate up and down. 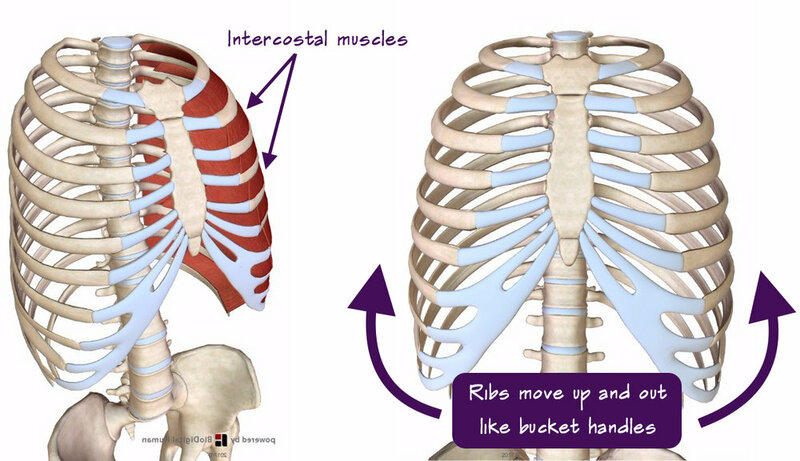 Because of this flexibility, when the inter-costal muscles (which connect each rib to the next) contract, it causes the ribs to rise like bucket handles, thus further increasing the expansion of the lungs as we breathe in. In normal breathing the elasticity of the rib cage means that little or no effort is needed on the out breath to return the rib cage to its former position and empty the lungs. Breathing out is essentially a letting go. We’ve seen how the diaphragm contracts and descends when we breathe in. However the space into which it wants to descend is not empty! It’s full of the gut, liver, kidneys and other organs of the abdomen. These internal organs are not very compressible, so they need to be able to move down with the diaphragm to enable it to descend. They can do this because they are contained in an elastic muscular ‘basket’ made up the big sheets of muscles which wrap around the front and sides of the abdomen, and the pelvic floor. This muscular container gently lets go as we breathe in, allowing the contents of the abdomen to be displaced by the descending diaphragm and helping to regulate its movement. The muscles then offer support to the releasing diaphragm as we breathe out again. This support may either be very subtle and delicate (as it should be in normal breathing) or more forceful when we need to blow out under pressure (for example playing a wind instrument). This process is why your belly moves in and out as you breathe. It not only allows the descent of the diaphragm but, just as importantly, supports and helps to regulate the structures above — and consequently the whole breathing process. 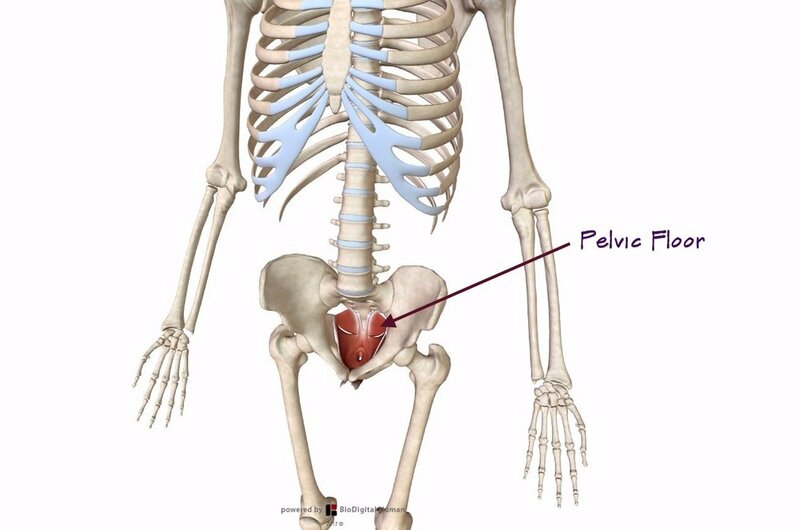 The pelvic floor and the diaphragm have a particularly intimate relationship. They are connected at a fundamental neurological level. When one contracts the other releases, and vice versa. This means that unnecessary tension in the pelvic floor will always have a knock on effect on the diaphragm and limit and constrict the whole breathing mechanism. It’s important to note that when all is working as it should the activities described above are automatic. Generally we don’t need to be controlling them, we just need to allow them to function as nature intended. However we often get into (usually unconscious) habits of interfering with the breath. This is when things can go wrong, and it can cause problems with posture, energy, tension, and emotional expression. In the next part of this series we will be looking at what happens higher up in the throat and head to regulate the airflow and allow it to be used for vocalising and to support our structure. Can we agree that, for human beings, breath is pretty fundamental?! It’s with us from shortly after our birth until the moment we die, and it’s inextricably linked both to our survival and to our quality of life — and to our capacity for feeling, thought and expression. Every emotional response we have is reflected to a greater or lesser extent in our breath. Additionally we use the breath to express thoughts and feelings through our voice, and when the breath is held or fixed this ability becomes limited in both subtle and obvious ways. And because the muscles of respiration are so much a part of the structure of the torso, when we hold on with them unnecessarily we introduce tension into the rest of our musculoskeletal system which has to brace in compensation. Breath can be experienced as both simple and highly complex. What could be simpler and more natural than taking a breath? And yet the more we go into it the more we realise how intricate it is. When the breath is functioning as it should the diaphragm, ribs, soft palate, belly, viscera and pelvic floor are all involved. And because these structures are all moveable, and are also involved in supporting the structure of the torso which in turn integrates with the rest of the body, it’s not an exaggeration to say that the whole organism is involved in every breath we take. This involvement can either be a gentle and flexible support, or it can be a rigid containment but, either way, the breath is continually and fundamentally linked to qualities of tone, balance and emotion expressed in the organism as a whole. 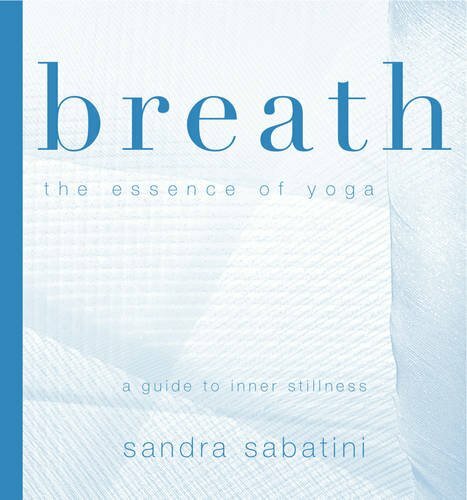 One reason why working with the breath is particularly helpful to anyone wanting to be more free, open and expressive in themselves, is that it is the one place where the autonomic nervous system (which controls automatic functions like heartbeat, breathing and digestion) and the voluntary nervous system meet. So long as I am alive I will continue to breathe, and this will happen spontaneously whether I want to or not. But I also have the power to control my breath myself to a significant extent. I can choose to interrupt my breathing for a while, to speed it up, slow it down, maker it deeper or shallower. I can choose to prioritise different parts of the breathing mechanism — for example I can breathe more with the diaphragm, or more with the ribs. I can choose to breathe through the nose or the mouth or both together or alternately. This ability to override the autonomic nervous system and control the breath ourselves evolved for good reasons. We might need to swim under water, or to freeze to avoid a predator, or to hear subtle details in our environment more clearly. In addition, higher order vocal communication such as talking, singing and chanting, requires us to make higher level choices about how and when to breathe. All this is good and necessary but, as with every thing we do, whenever our higher level control systems get involved (the separate ’you’ in your head that thinks it knows what it is doing) it is easy to fall into over controlling. This is exactly what many of us do with our breath, so that over time it becomes more and more constrained and less free. Rather than a delicate, spontaneous, full, supported, pulse-like ‘happening’ it becomes tight, constricted, limited, partial and constrained. Because breathing involves continual movement which is both automatic and able to be controlled, it is a wonderful ‘laboratory’ to explore how we interfere with our deeper level functions, and to learn to let go and allow them to work as they should. Breath is there all the time wanting to delicately do its thing, so it gives us an ideal opportunity to notice how we get over-involved, and to discover whether we can allow things within us to happen more spontaneously. In my next couple of posts I’m going to go deeper into how breathing works, and look at ways we can start to let go of unnecessary control and allow it to regain its full functioning. In the meantime, you could try just being more aware of your breath as you go about your day. How do you experience it? Where does it feel held and where does it feel free? What emotions are linked to it for you? Here are a couple of books I recommend if you interested in going into this further yourself. The first is more general, the second is written particularly from a yoga perspective.